Paul Martin graduated from the College of Amenity Horticulture located in the National Botanic Gardens, Dublin, in 1986. Having spent the majority of the course training alongside skilled horticulturalists specialised in plant physiology, Paul established himself as an innovator in landscaping. 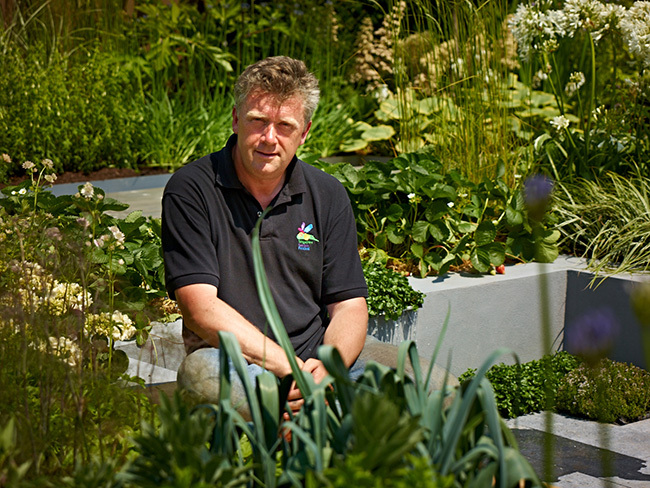 With nine Gold medals for show gardens to date, Paul Martin is regarded as one of Ireland's leading garden designers. We are dedicated to using our in depth knowledge of plants and deep understanding of habitat conservation to create exterior spaces that combine a myriad of influences and design elements: proportion, mystery and planting are at the heart of what we do. We use plants to trigger memory; we construct seating and map vistas to encourage exploration; we combine flowers and structural elements to develop wildlife and prolong the seasons. We show uncompromising attention to detail and a continued dedication to plant selection and innovative companion planting. Over the past two decades, Paul Martin Landscape and Garden Design has received nine Gold & three Best in Show awards for show gardens including Bloom in the Park (Gold & Best in Show 2007 / 2013, Gold 2012 / 2008), Royal Dublin Society (Gold & Best in Show 2005, Gold 2004), RHS Hampton Court Flower Show (Gold 2014 / 2011) and Singapore Garden Festival (Gold 2012). Our studio has also been awarded a number of other prestigious awards including a Silver medals at RHS Chelsea Flower Show (2003), Bronze at Flower Show Tatton Park (2002) and Silver Gilt awards in RHS Hampton Court Flower Show (2013 / 2006). In 2003, Paul Martin Landscape and Garden Design was the first ever recipient of the BBC's People's Choice Award at Chelsea.